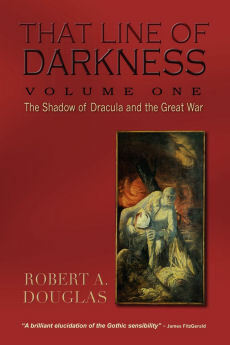 This piece is an expanded version from what was to merely an endnote to my discussion about Peter Pan in the context of the Great War in That Line of Darkness: The Shadow of Dracula and the Great War, Encompass Editions, 2012. I decided to focus entirely on the drama and not allude to Barrie's relationship with the Llewelyn Davies family. That subject deserved an essay of its own. This piece appeared in Critics at Large June 10, 2013. Whatever celestial space James Barrie (1860-1937) currently occupies, the sprite would likely look kindly on Marc Forster’s 2004 film, Finding Neverland, a gauzy semi-biopic about himself that is based on the drama The Man Who Was Peter Pan by Allan Knee. 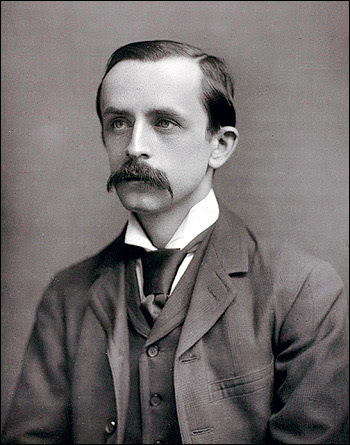 After all, it is a celebratory idyll of innocent play and that began from his first meeting in Kensington Park in 1898 when Barrie captivated the sons of Arthur and Sylvia Llewelyn-Davies with his gift for adventurous story telling. Time is telescoped in the film. As a short, hyperactive man with a thick mustache, sad eyes and a pipe-smoker’s cough, he certainly would have been pleased with the handsome, clean-shaven and boyish Johnny Depp who portrays him as a charming defender of the (four not five) boys and a gallant protector of their mother. Set circa 1904 when his imaginative games with the boys inspired him to stage his most famous production, Peter Pan, Barrie would have also endorsed the film’s sweet, sentimental tone as it skims across a bright Edwardian surface while ignoring the darker undercurrents and psychological perplexities that pervaded his relationship with the Llewelyn Davies family. Those complexities are more accurately and compellingly explored in the earlier 1978 BBC award-winning leisurely paced The Lost Boys. Ian Holm, looking and sounding like the Scottish author, gives a powerful and moving performance that earned the highest accolades from the youngest and only surviving Llewelyn Davies son, Nicholas (Nico), as Holm became “Uncle Jim.” The miniseries was written by Andrew Birkin who followed up the television script with his excellent biography J. M. Barrie and the Lost Boys (1979 and reissued by the Yale University Press in 2003). 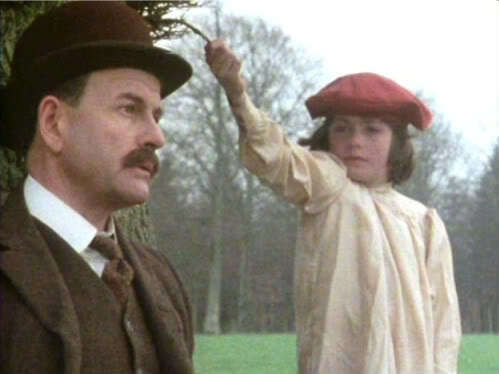 Any casual observer would also not know from Finding Neverland that Mary Ansell, Barrie’s wife, was a distinguished actress, and that their relationship foundered not only because he was spending all his time at rehearsals and with the Llewelyn Davies family. He neglected her even when he was at home and she wanted a sexual relationship he denied her. Eventually, she pursued another man at the time when Peter Pan was in production and Barrie reluctantly granted her a divorce. It was widely believed that during his lifetime, Barrie was impotent and did not consummate his marriage. In the first edition, Birkin wrote he believes that talk of Barrie of being impotent is speculative. But in the 2003 edition, he uncovers a letter Ansell wrote to Peter Llewelyn Davies from which he quotes: “He knew that as a man he was a failure and that love in its fullest sense could not be experienced by him." Apart from the subtle hint that Barrie is cool to her sexual advances, none of this is explored in the film. 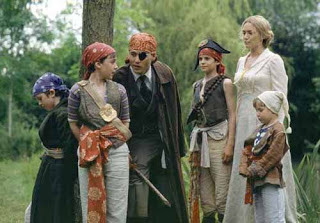 The spirit of Barrie might have a much stronger case for hurling thunderbolts against Piers Dungeon for his Captivated: J. M. Barrie, the du Mauriers & the Dark Side of Neverland (Chatto & Windus, 2008). His is a jeremiad that is entirely at odds with the tear-jerking, much happier Hollywood version or with the scrupulously fair-minded approach of Birkin. Dungeon concocts a polemic that feels more like a prosecutor’s brief than a biography. His Barrie is a malevolent figure who cast a Svengalian spell over the Llewelyn Davies and their cousins the du Mauriers by manipulating the lives and psyches of children to an extent that he ultimately destroyed their lives, a provocative thesis that would have been interesting if he could have substantiated it. But he cannot. Like any biographer or historian, he asks questions but the problem is that he already knows his answer regardless of the evidence or lack thereof. When he cannot find what he is looking for, he resorts to breathless speculation. Consider: when Barrie was six, his older brother David, their mother’s favourite, was killed in a skating accident, an event that traumatized James when his mother told him that he could never replace his brother because David would never grow up, whereas, James would grow into a man, a scene that was to be the prologue of the television production but was never dramatized. Birkin and other biographers have noted the importance of this tragedy in Barrie’s life but Dungeon goes much further. He asks whether the young James contributed to his brother’s death: was it really an accident? 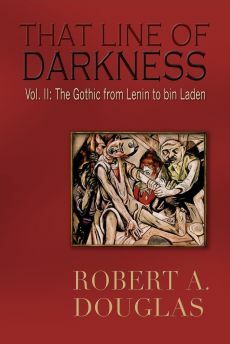 Even though he finds no evidence, he maintains his theory that Barrie was complicit in his brother’s death. How else can one explain the lack of affection that Barrie’s mother shows toward her younger son? Another example: Sylvia’s father was George du Maurier who wrote Trilby and created the mesmerizing figure of Svengali. Dungeon asserts that du Maurier was himself a gifted hypnotist who could penetrate and master other peoples’ souls. 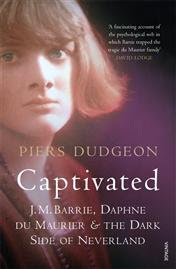 Dungeon argues that the grip that Barrie exercised over the Llewelyn Davies family can be attributed to his connection with du Maurier and that Barrie learned the art of mind control from du Maurier even though he can find no evidence that they ever met, content to assert, that he cannot believe that they did not meet. Dungeon does not letup in his prejudicial account. Even when he quotes passages that other biographers have cited, he puts a perverse interpretation on them. Consider the last letter quoted by Birkin above that Barrie wrote to George before he was killed. Dungeon can only deride Barrie’s letter: “It could have been written by George’s mother – or by his lover.” And he can only offer a pompous pronouncement about Michael’s tragedy. “There is a programmed inevitability about Michael’s death, and the programmer is Uncle Jim.” Barrie was responsible for Michael's fate. (By contrast, Birkin examines how the death affected Barrie and quotes Nico's sensitive assessment: “When Michael died the light of his [Barrie’s] life went out.”) To bolster his overheated argument that Barrie was a satanic figure, Dungeon relies on the author’s stories and those of Daphne du Maurier, indirect evidence, which at best is dubious. Given this relentless denigration of Barrie, it is worth quoting Andrew Birkin: “Piers Dudgeon is of course entitled to his own opinion, but his book is so full of errors, distortions, half-truths, and his own opinion passed off as fact, that I personally regard it as worthless.” It is a harsh but not unfounded judgment. Is Dungeon worried about Barrie’s curse?